The eyes are the windows to your soul. 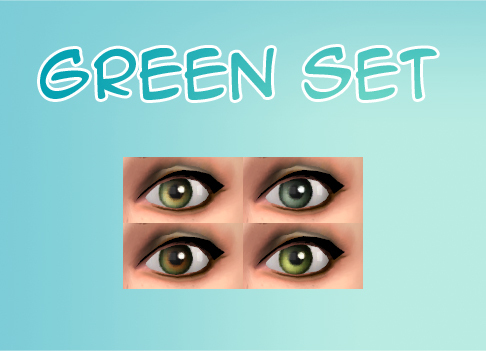 Get the eyes you think your Sim deserves. Did I hear somebody say „Please Helianthea, help us get rid of the ugly new eye colors that came with 10/01/14's patch! Make it super-duper bland, too“? Thanks to Granthes giving us a new, updated version of Color Magic (and hey, keep in mind: that was wicked fast!) and Inge Jones updating the dll for s4pe (thanks to both of you, you're absolutely great!!! ), I see no reason why I shouldn't. So, what's new in the file section? 10-01-14_new-def-repl_withgenetics_fixed-agegender.rar contains the exact same replacements, BUT with genetics (yes, EA didn't bother to have their own eyes inherit properly). It also deals with a problem the new defaults had from the start: they didn't inherit at all for males. See, for instance, both the amber color (the red one) and the purple color have the same value. The game recognizes them as „the same“, groups them up if you will. That's why ff you take two Sims with purple eye colors, their child will either get the purple or the amber one – if it's a girl. Boys inherit amber instead. Always and exclusively. 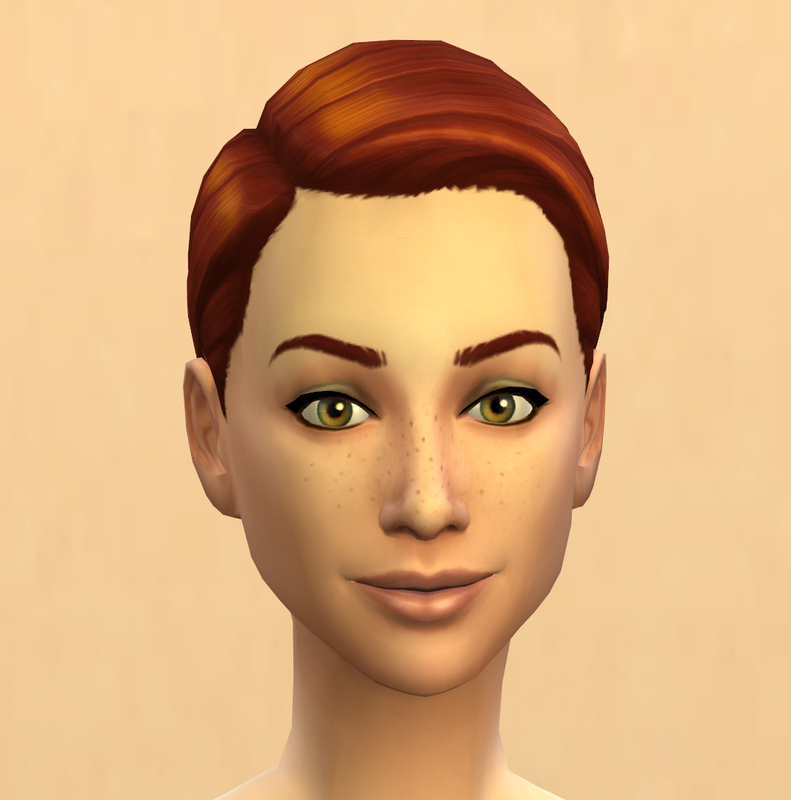 Even the newly added genetics didn't fix this, they made it even worse (boys could inherit almost all eyecolors somehow). The problem lies in the agegender value. It should be set to 0x0000307C, but the eyes have it set to 0x0000207C instead. That's why boys didn't get the cool, new eyecolors But, as said, this is fixed in this package. Not in the other one though. Helianthea_SBCE-default-replacements.rar is still the same package it was when I first uploaded it. It doesn't need updating. 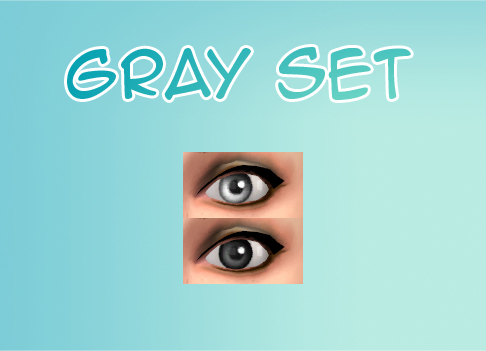 It contains the original 13 eyecolors, so if you don't have those yet, you might wanna grab 'em along with the new ones (only if you like them, of course ) Keep in mind that for all defaults to be replaced, you need to have this package in your mod folder together with either 10-01-14_new-def-repl_nogenetics or 10-01-14_new-def-repl_withgenetics_fixed-agegender. sbce_allnondefs_10-01-14_withgenetics.rar (all my non defaults from earlier (the default replacements are NOT included!) are contained in the rar, each set has its own package). I've updated their CASP-instances and their SecondarySortIndex Value for them to appear in the order I wanted them to. I also changed the FlagValue in the EyeColor-Category so they inherit properly. If you read the below updates, you know I've had slight qualms about changing this FlagValue. Anyhow: I haven't received a single note on them botching up someones game so far, and my own works solid, too. So for the time being, I consider this procedure safe to use. You're free to keep with the old nongenetics (Helianthea_SBCE-all-nondefs-no-genetics.rar) if you're feeling uneasy about having this content in your game. They're still here for you. Just keep in mind that those aren't sorted and I don't have any plans to update them in the foreseeable future (sorry, but all of this changing-stuff-in-s4pe becomes tedious after the 250th time and I'm not too eager to do it again if it's not absolutely and utterly necessary). They still work with this patch. Only download the old genetic sets ( Helianthea_SBCE-blue.rar, Helianthea_SBCE-brown.rar, Helianthea_SBCE-gray.rar, Helianthea_SBCE-green.rar) if you don't have your game patched, yet want genetics. Otherwise, they're redundant. I feel like an update is in order. Since first updating the nondefaults, I've gained some knowledge about the data I manipulated in order to make them inherit properly. While nothing points at this manipulation causing conflict (my game still runs smooth and isn't doing anything weird with the nondefault ingame), I'm still left with many questions regarding how this change actually works, if it might affect something I'm not aware of and what not. To make a long story short: they work, but I don't exactly know WHY they do. I hope I can give a definite answer about this in the future – so far, I absolutely can't. Which in my book makes them a „work in progress“ of sorts. I feel it would be unresponsible on my part to not give you guys the option to choose whether or not you want to play your game with content that is not completely understood as of yet, or with content that has proven to work (but just inherits in a stupid way). So now, you CAN choose. I'm really sorry about this, if I had known back then what I know now, I would've given you this choice from the beginning. Special thanks to pikku.titiuu who asked about this in the comment section and thus made me ponder the issue. Wouldn't have found it without you. added two ingame screens. She "wears" the first default replacement green; he's got the second non default brown. 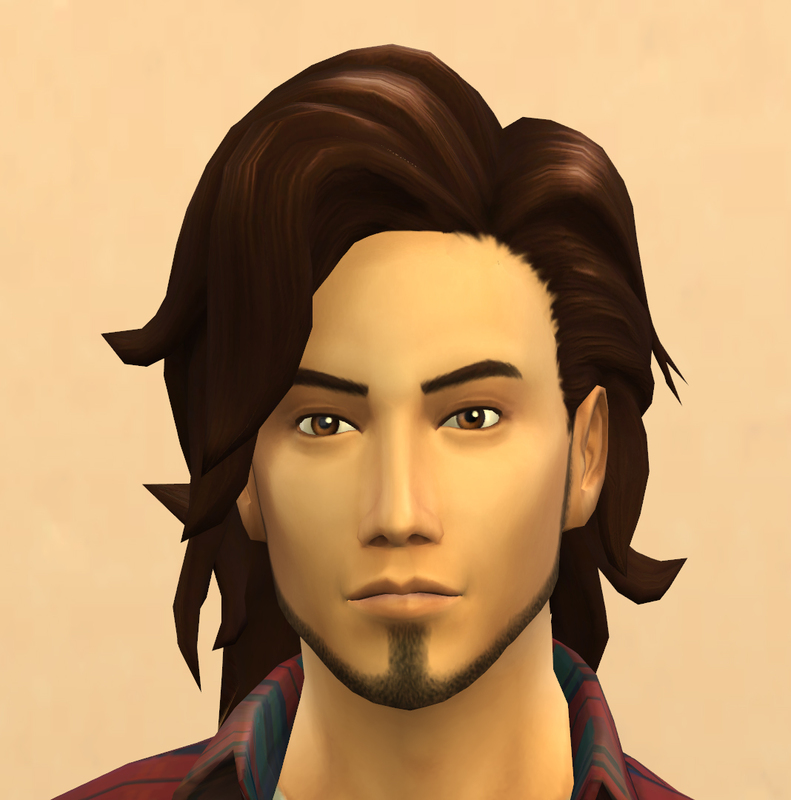 Like Sims 4's cartoony vibe, but hate EAs default eyes? I know I do. Having been a big fan of tamos ultra plain eyes for Sims 3, I set out to achieve something remotely comparable for Sims 4. Nice and clean looking eyes, but nothing on the hyperrealistic side. Something bland. Cartoony. And after at least ten revisions, here's what I finally settled with. 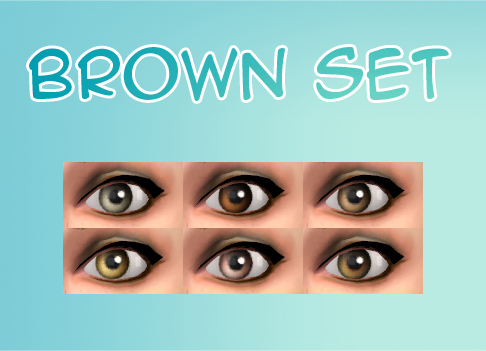 The brown set: offers 6 additional shades of brown, which should be located right after the default brown swatches. The green set: offers 4 additional shades of green, which should be located right after the default green swatches. 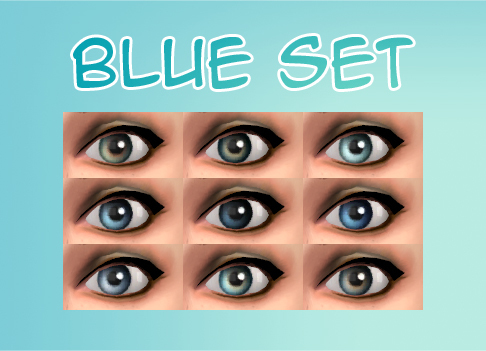 The blue set: offers 9 additional shades of blue, which should be located right after the default blue swatches. In case you already own a couple of non defaults and they happen to share the same swatch as mine, you'll just get a copy of your pre-existing non defaults. Not much I can do against that afaik, just a warning in case you come across this issue. 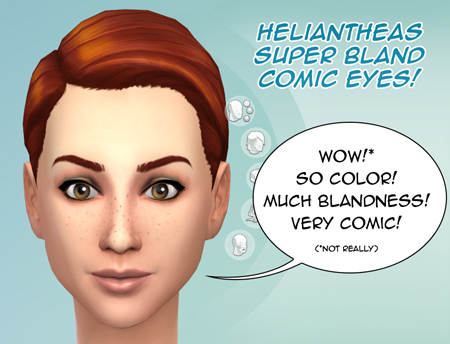 Big thanks to Rope from Sims on the Rope for his/her original default replacements: If you hadn't done all the hard work in the first place, thus allowing me to leech off of it, I wouldn't even have half a default replacement eye color in the game at this moment! 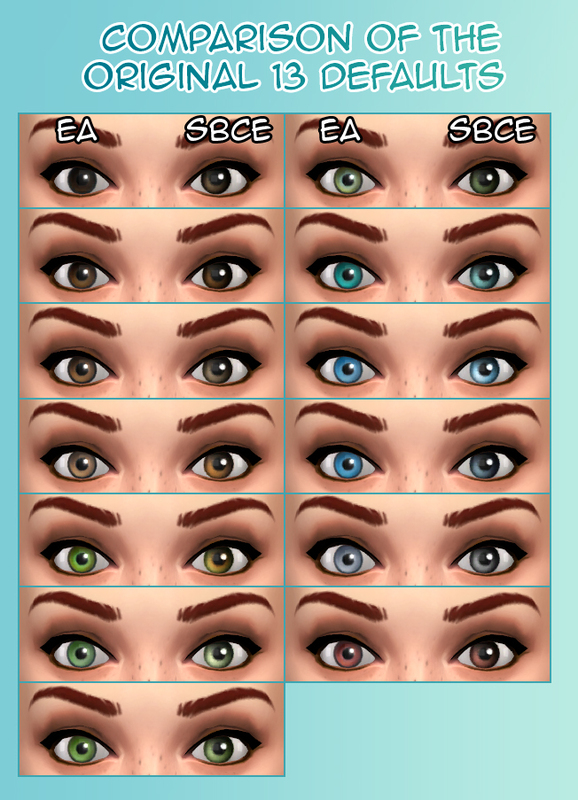 Also a big thank you to Sarah's Sims who mentioned where one could find the eye colors in ColorMagic (in case you guys don't know: they're located in the makeup section right under the eyebrows). 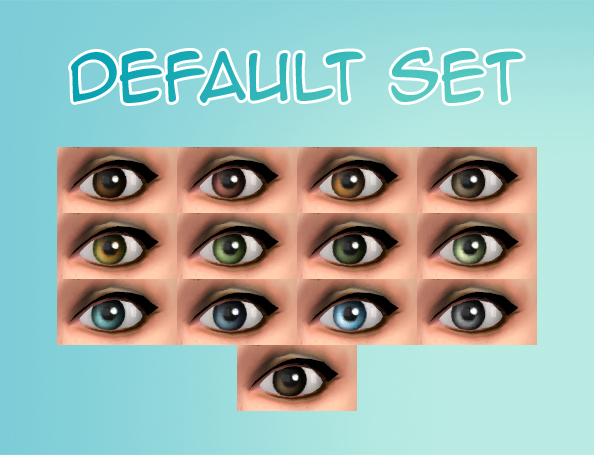 Helianthea_SBCE-default-replacements.rar | Description: Contains the defaults replacements for the original 13 eye colors. Works with both patched and unpatched games. Helianthea_SBCE-blue.rar | Description: Outdated! Only download if your game is not patched and you want genetics! Helianthea_SBCE-brown.rar | Description: Outdated! Only download if your game is not patched and you want genetics! Helianthea_SBCE-gray.rar | Description: Outdated! Only download if your game is not patched and you want genetics! Helianthea_SBCE-green.rar | Description: Outdated! Only download if your game is not patched and you want genetics! Helianthea_SBCE-all-nondefs-no-genetics.rar | Description: Works with both patched and unpatched games (sorting order is crazy in patched games though.) No proper inheritance. All non defaults included. sbce_allnondefs_10-01-14_withgenetics.rar | Description: All non defaults included. Inherit properly. Updated sorting order. 10-01-14_new-def-repl_nogenetics.rar | Description: Default replacements for the 5 new eyecolors that came with the ghost-patch. No proper inheritance. No agegender fix. 10-01-14_new-def-repl_withgenetics_fixed-agegender.rar | Description: Default replacements for the 5 new eyecolors that came with the ghost-patch. Inherit properly. Agegender fix.